Keystone Corporation provides bright and matte (solderable) tin plating. Our facilities are well equipped to hand large or small parts in various sized barrels and racks. 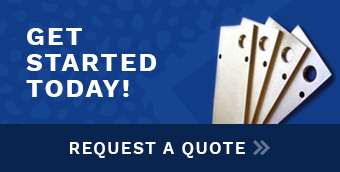 Contact us today for experienced metal finishing at affordable prices! Tin plating often has a copper or nickel underplate to improve durability and solderability in higher temperature applications. For solderable applications matte (solderable) tin plating services are recomended, as the deposit is free of the codeposited brightners found in bright tin plating. Typical tin plating specifications are ASTM B545, AMS2408 AND MIL-T-10727. Keystone Finishing has been in the metal finishing business since 1928. No matter the project, or needs for tin plating per ASTM B545 for your project, we can help! Give us a call or visit our contact page to get started. Call us today for a quote for your ASTM B545 plating needs!